I had the craziest craving recently. (Hub thinks I have cravings almost every other day. So, he reckons I shouldn’t call it cravings but just greedy. 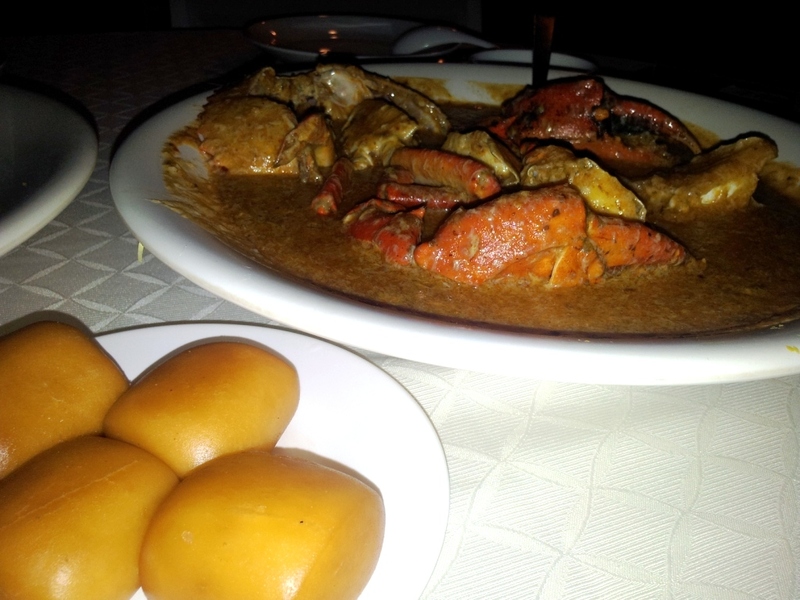 Hahaha…) Anyway, I was really hankering for Chili Crab from Singapore! After hearing about my cravings, Hub’s friend (Ed) invited and treated us to a crab feast. Yay, Thank you so much Ed!!! He made reservation with the No Signboard Restaurant in Esplanade. This restaurant started off as a small hawker place with no name. Today, the restaurant has several branches and they are known as No SignBoard Restaurant… (You can read more about their history from their website). Luckily Ed made reservation for the 3 of us. The place was packed like mad. The manager had to keep turning guest away. 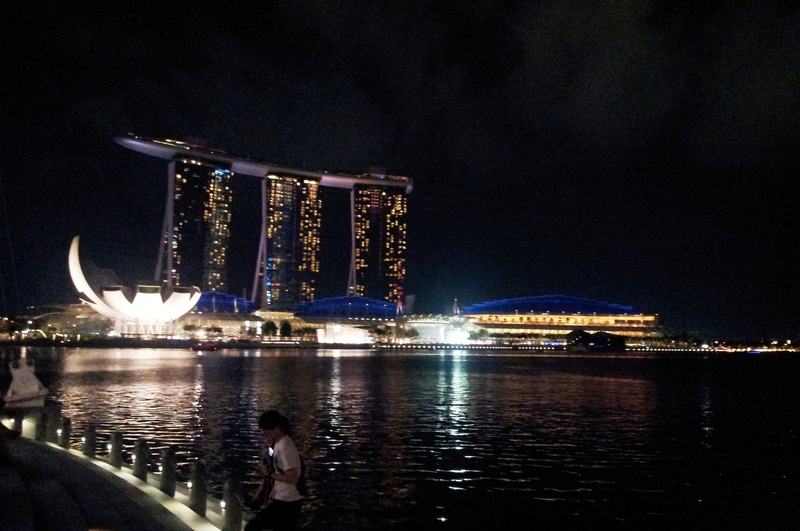 But then again, it was Friday night and the view at Esplanade is amazing. 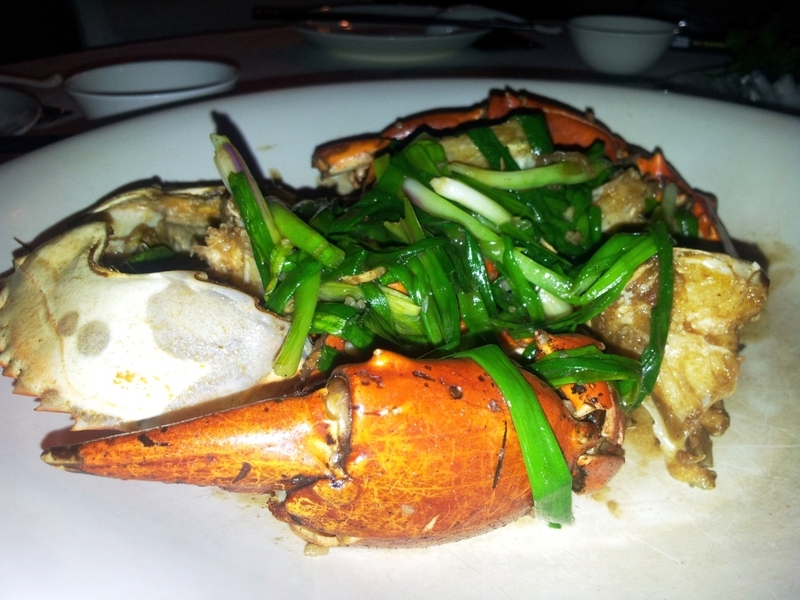 We were told that their signature crab dish is actually the white pepper crab. 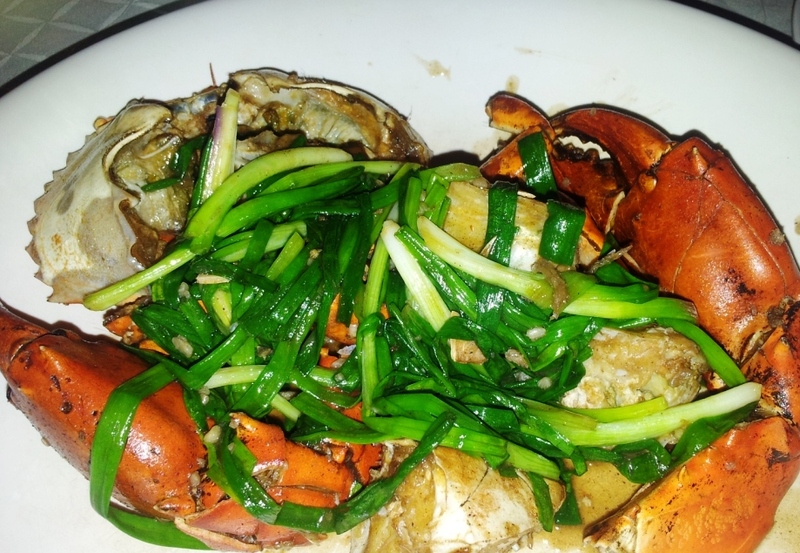 Oh no…decision decisions… I really want the Chili crab too. The waiter kindly told me that I can order ONE crab for each dish. CooL! I know most restaurants need you to order at least 2-3 crabs per dish. So, we ended up with both. 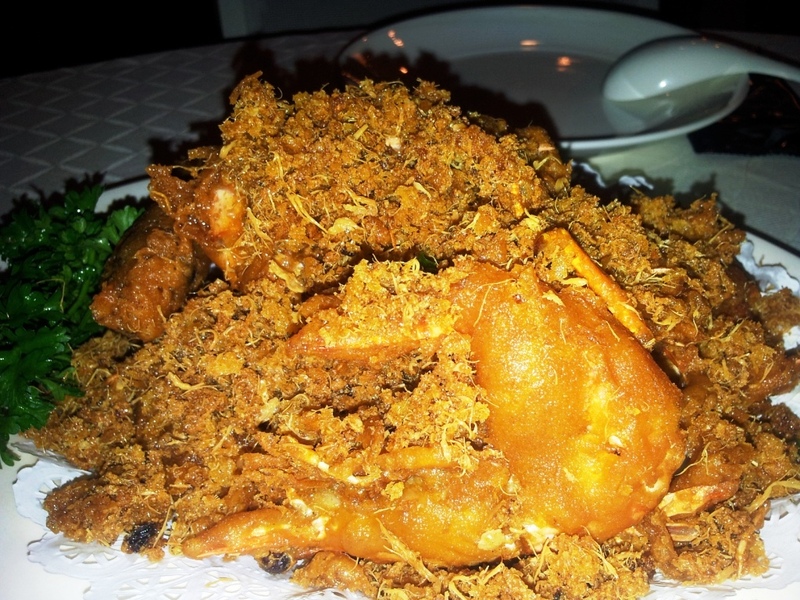 The Chili crab is slightly different from the ones I had previously. This was slightly less sweet and has a bit more curry powder taste. 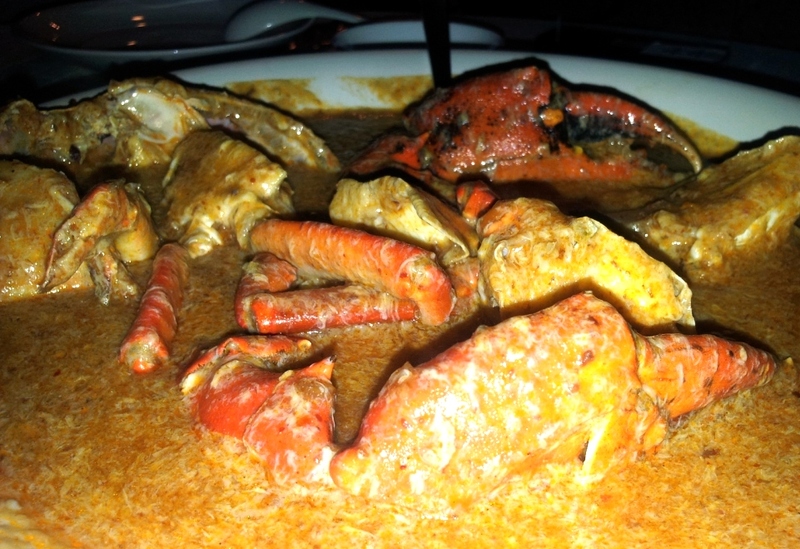 It’s quite a nice balance as the sauce is not too over powering that it hides the crab’s freshness. 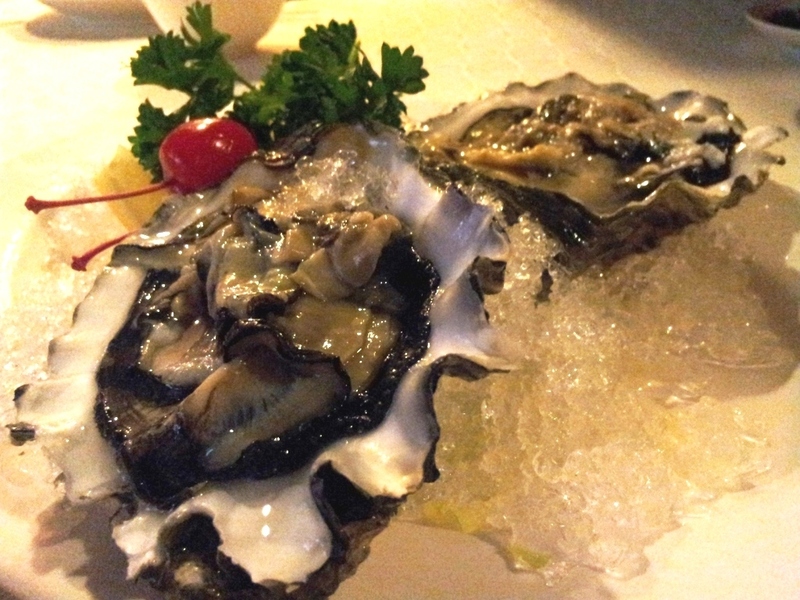 It is so good with the fried mantao (Chinese bread). 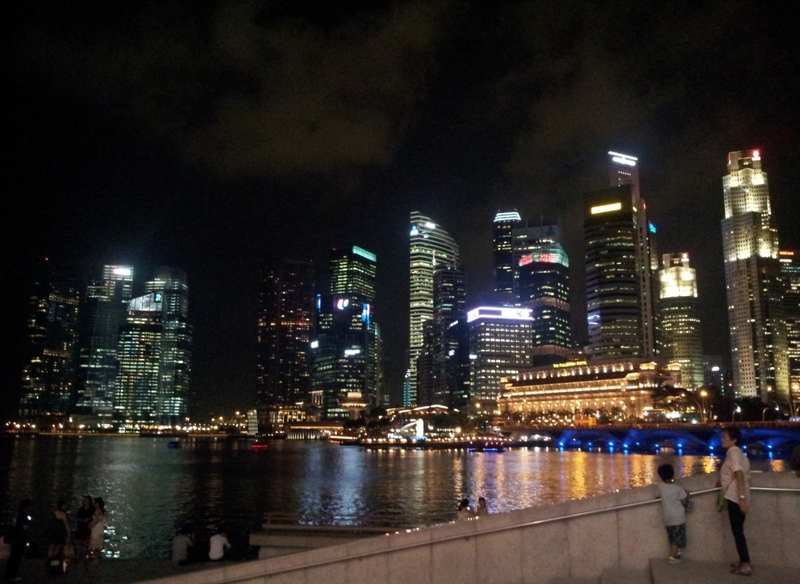 We stayed at the Fairmont hotel (previously known as Raffles plaza). I always love this hotel. The service there is always efficient… The rooms are clean and the BED !! oh my.. oh my.. the bed sheet are amazingly soft.. with 4 GIANT duck feather pillow to rest your head upon. (sighh.. simply blissfull). The cost of the rooms also includes the complimentary gym and spa access. hehee.. unfortunately, for this round, we decided to skip the spa and head straight for SHOPPING and more shopping !! hahhaa.. The meal start of with some cripsy salad and sashimi. The cut was good and fresh. follow by, pan seared foie gras. It was perfection !! Melts in mouth….Definitely an A+ in my books!!! It sits on top of some oyster mushroom and drizzled with sweeten balsamic reduction sauce (which I so ADORE !! ). It will be great if they actually furnish me with some freshly baked baguette. That would have been perfect-o. The beef steak arrived to our table immediately after the clear off our lobster. It was cooked just the way I love it. Medium Rare (Asia standard) / Medium (European standard)… For from reason, whenever I asked for Medium in Asia country, it always turns out Well-done (in my opinion). Beef just gets tough and that special taste is not there anymore… The only reservation I have for this is the layer of FAT slab right in the middle of the meat.. If I recall, it was suppose to be Wagyu. Personally, I was a little suprise to see that slab of Fat as all the Wagyu I had thus far are all well-marbled. Nevertheless, it was OK. The taste was definitely totally different compare to our everyday-average melon. The meat was exceptionally juicy and the sweetness was amazing. It was not TOO sweet (like sugar) but it was a very refreshing kind of sweetness. It was serve with coconut ice-cream which I tot was very clever as any other types of flavour would have make our taste bud so complicated that we will not be able to pick-up the melon’s taste after that..